In the fall of 1996 David Apperson (Chief Scientist for the International Federation of Butterfly Enthusiasts) while studying the words of the Apostle Paul in regard to nature and putting together the Native American Journal on Asclepias, named after Asclepius a Greek god of medicine, Apperson had the crazy idea to go inside a chrysalis during the metamorphosis process and watch natures resurrection. 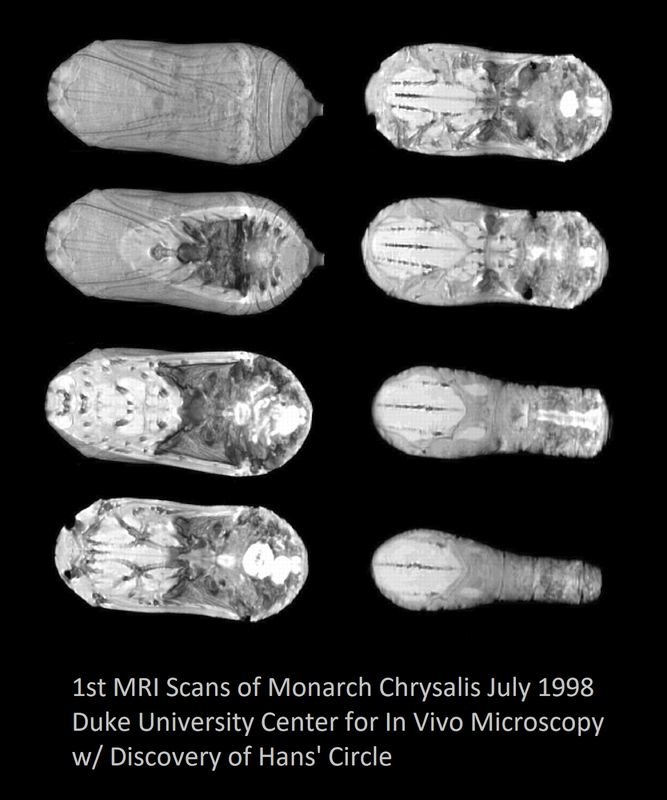 18 months later David Apperson (utilizing his military name Hans Schnauber) supplied the initial funding for scanning the world's first MRI butterfly chrysalis at Duke University. Mr. Apperson believed if what he was thinking about from Thanksgiving 1996 through the early part of July 1998 was true a "Circle of Light" within MRI Scans would reveal one of nature's hidden mysteries ... and the light did appear. After spending just 15 minutes of scanning the images on a Solaris Machine in the presence of Sally Gewalt and Dr Richard Stringer, of his findings and that a hidden mystery of nature was revealed to scientist at Duke University.